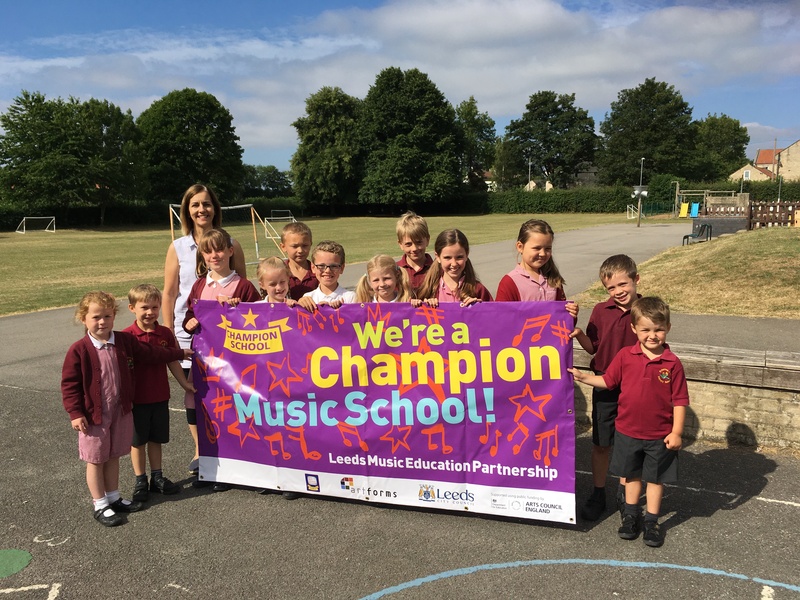 We are extremely proud that Primrose Lane is one of only six primary schools in Leeds to be awarded Music Champion School status. This is a great achievement which acknowledges the value our school places upon music as well as the high levels of musical ability and engagement of our children, plus many years of sustained music provision. Music develops a wide range of skills as well as promoting creativity, teamwork, confidence and a sense of community. At Primrose Lane, music is an integral part of school life and we are very proud of the range and quality of music making in our school. Every child from Reception through to Year 6 has a weekly class music lesson delivered by a specialist music teacher, in which the key skills of singing, performing, composing and listening are developed. In addition to this, we have weekly whole school singing sessions and regular song sharing assemblies. We also provide the opportunity for any child in school to perform for the rest of the school in our live music spot. We have achieved the Gold Sing Up Award and both children and staff enjoy singing with and for each other. Each year we stage several musical performances for parents including a Harvest Festival, KS1 Nativity, Christmas Carol Service, KS2 Spring Concert and the KS2 Production (recent performances have included The Lion King, Beauty and the Beast, The Wizard of Oz, Peter Pan and Oliver). As part of our music provision, every child in Year 2 learns to play the recorder and from Year 4 they have the option of having woodwind or percussion lessons - we currently have over fifty pupils taking lessons. There are lots of opportunities for instrumentalists to perform for an audience and they can also take ABRSM exams. We also have a school choir, wind band and recorder ensemble. 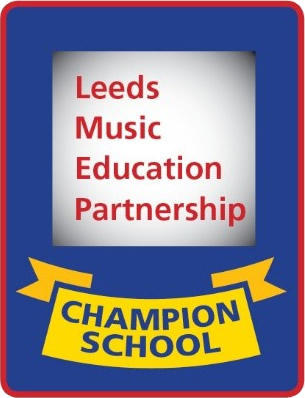 We are always keen to take part in musical activities outside school; many of our children have attended a range of different workshops run by Leeds ArtForms and we have a number of children who have performed in Leeds Town Hall in various concerts. We have a wide range of percussion instruments which are used in class music lessons and a purpose built room for instrumental lessons. Listen to our KS2 children singing 'One Moment, One People' at our recent concert. Listen to 'A Million Dreams' sung by our school choir.